The ASPCA Says: Four Ways You Can Help Animals This Holiday Season! Yes you! There are so many animals that need just a bit of extra love, food, toys, walks or all of the above, particularly during the holidays. 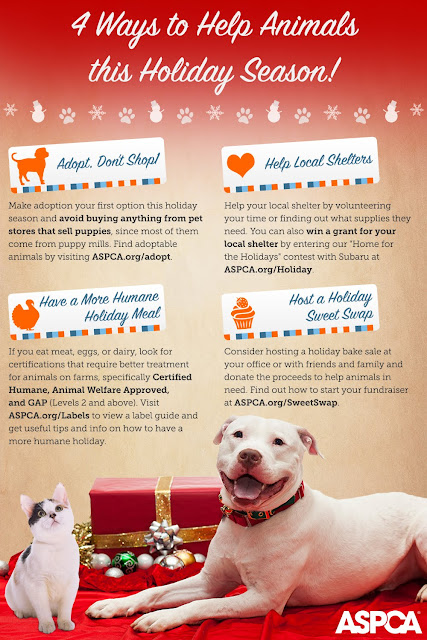 But the good folks at the ASPCA have four specific suggestions that you can easily accomplish that will help all of our animal friends this holiday season. 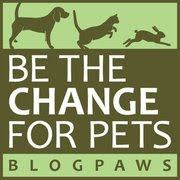 Working together, we can really make a difference! 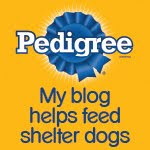 Check out this nifty infographic that explains exactly what you can do to help our fellow creatures in need. Let us know if you have any plans to help out at your local animal shelter, or other good deeds that will help our furry friends. We'd love to hear about them!